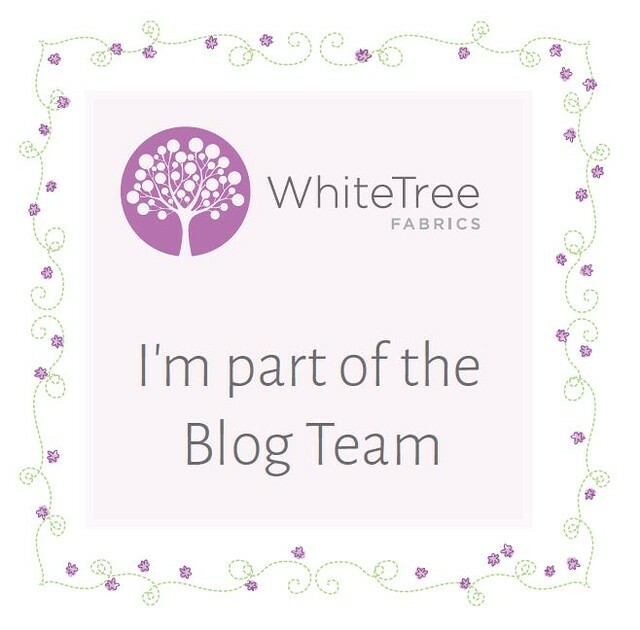 Earlier this summer I completed my third make as part of the White Tree Fabrics blog team. 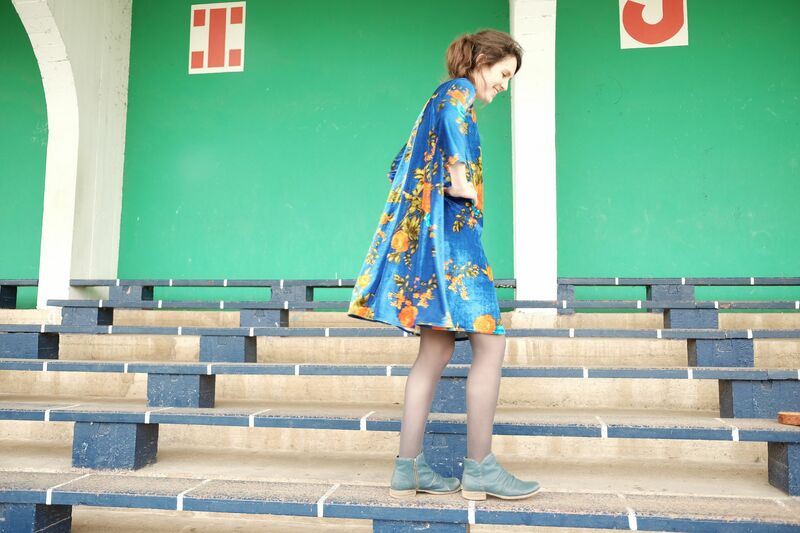 The pattern is a version of a dress I made before (see this post). This time I made the bodice a bit looser and then gathered it along the neckline to pull in the excess. I made some thin strips of bias binding for the straps – they are a tad on the fragile side though and I’ve since reinforced them a bit! I love this shape of dress for summer. The fabric I used comes from White Tree Fabrics and is a navy printed cotton with pale pink and blue flowers. It is thin and breathable and drapes well too. I really like the flowers against the navy background. 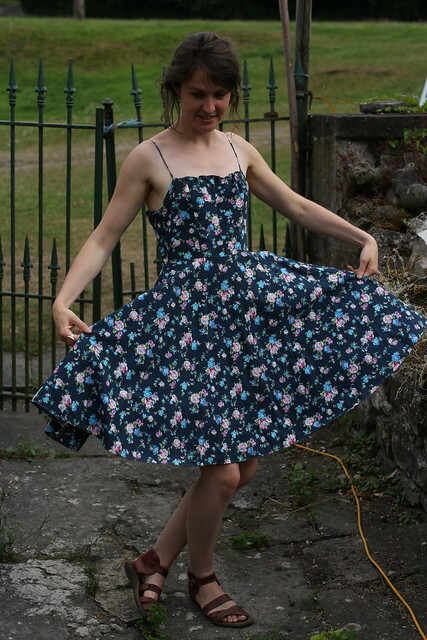 My cousin is getting married next year and I’d like to make this shape of dress for the wedding – perfect for ceilidh dancing! I just need to find the right fabric for swooshing and swishing! I like this picture where my boyfriend’s sister’s dog ‘Cashou’ makes an appearance!